The United Kingdom Human Trafficking Centre (UKHTC) is launching an integrated campaign to raise awareness about the crime of human trafficking. The drive, ‘Blue Blindfold’ created by Principles Agency aims to raise awareness of modern day slavery. The integrated campaign will include online activity, posters and outdoor advertising and use the strapline, ‘Don’t close your eyes to human trafficking’. The campaign urges the general public, victims of human trafficking, staff in all areas of public life, the authorities and employers to be extra vigilant in their daily activities, and to be aware of the nature and scale of the problem. 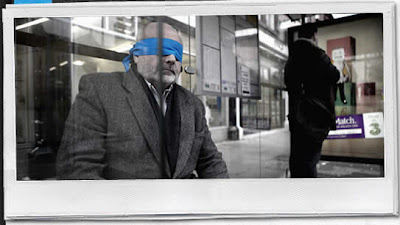 Principles Agency creative director Keith Lishman comments: “Our creation of the Blue Blindfold campaign demonstrates that we are serious about our corporate and social responsibility. We felt passionate about helping UKHTC to promote their very worthwhile work.